Ride the Ducks, 516 Broad St; Queen Anne; 206.441.3825 See the city's sites set to (admittedly obnoxious) music, and watch her kid lose their mind when the amphibious tour "bus" drives into the water. 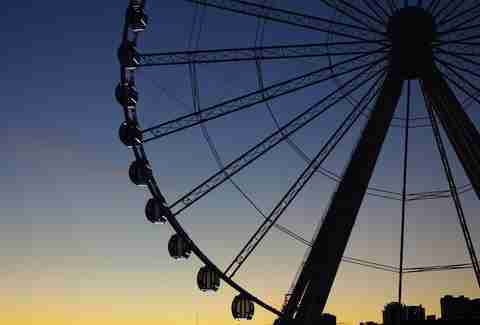 It's actually pretty… um, great... unless, just like a couple of Thrillist editors did recently, you sneak on alcohol and get kicked off mid-ride. Watching her kid run through the International Fountain or Pacific Science Center for hours is worth it, as long as you also hit up the Armory for badass street food from Pie or Bigfood. 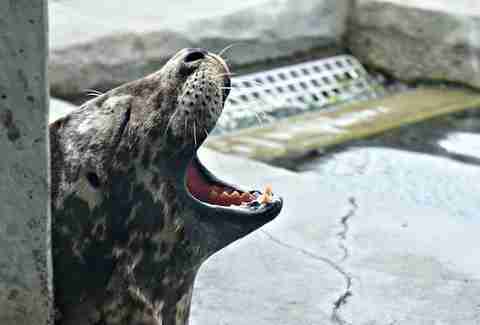 Her kids'll love watching harbor seals Barney, Q, and Siku swim around their new home. 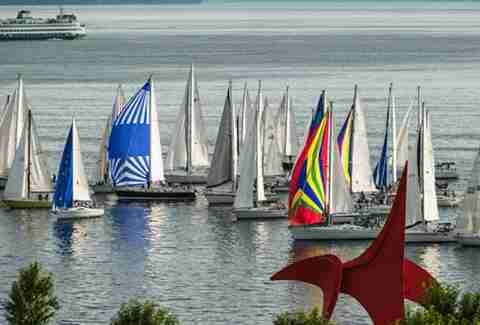 You'll love the panoramic views of Puget Sound. Sweet food you're supposed to eat with your hands… it's perfect for kids/ adults who still act like 'em. If you keep 'em busy at this selection of sweet Seattle cultural destinations, they won't have time to ask why you don't have a girlfriend or why you aren't making more money at work. Like you haven't been wondering the same things already... sigh. It's touristy, but it's also a legitimately sweet farmer's market. Bonus points for listening to grandpa tell you about growing up on a farm… AGAIN. 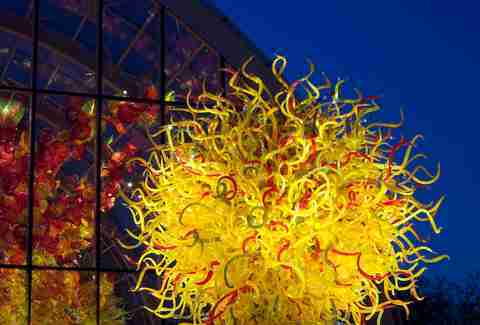 They'll love the blown glass by many of Seattle's signature artists. You'll love the red onion jam, bacon, and Beecher’s cheese-topped burger at the exhibition's Collections Cafe. Put 'em on The Boat… for a 35min cruise across the Puget Sound. Walking from Western -- past 18 different public art pieces -- to the waterfront, will probably make grandma and grandpa ready to do your favorite thing in Seattle: take a nap. They'll love the new MOHAI 'cause it's posted up on the waterfront, and is packed with stuff that's just like them… old. Since you're probably one of the reasons he's not allowed to drink anymore, you'd better show him -- inasmuch as it's possible without drinking -- a good time. A huge, custom, 28-day dry-aged steak will probably distract him from the fact you're busily getting tipsy at the thought of paying for dinner. 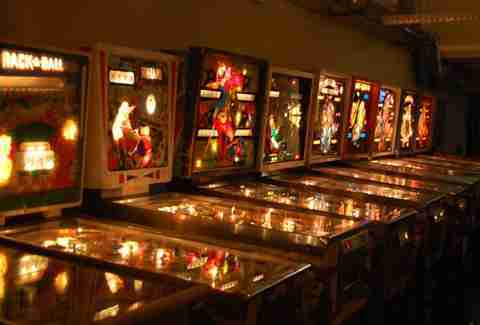 It's packed with 53 vintage gaming machines all set on free play. Oh, and there's beer you can sneak when he's not looking. 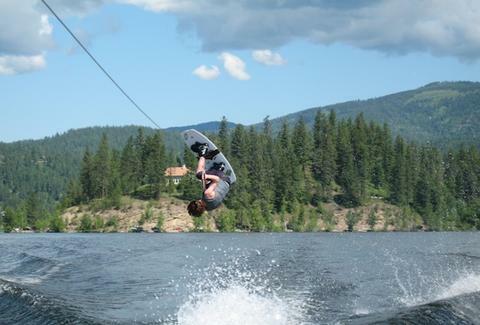 Northwest Riders started as a clothing company, and is helm'd by a national champion wakeboarder who'll take you out on the lake, and probably quickly remind you that you guys really aren't that cool anymore. 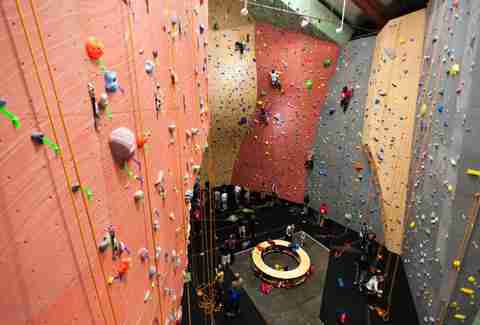 Take him to America's first -- and still Seattle's sweetest -- climbing gym, so you can go up walls while pretending things haven't been going downhill since college. In this particular instance, the best thing about Seattle strip clubs, besides the mostly-naked ladies, obviously, is that they don't serve alcohol.